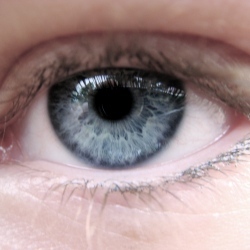 Scientists say they have been able to successfully print new eye cells that could be used to treat sight loss. The proof-of-principle work in the journal Biofabrication was carried out using animal cells. The Cambridge University team says it paves the way for grow-your-own therapies for people with damage to the light-sensitive layer of tissue at back of the eye – the retina. More tests are needed before human trials can begin. At the moment the results are preliminary and show that an inkjet printer can be used to print two types of cells from the retina of adult ratsganglion cells and glial cells. These are the cells that transmit information from the eye to certain parts of the brain, and provide support and protection for neurons. The printed cells remained healthy and retained their ability to survive and grow in culture. Co-authors of the study Prof Keith Martin and Dr Barbara Lorber, from the John van Geest Centre for Brain Repair at the University of Cambridge, said: "The loss of nerve cells in the retina is a feature of many blinding eye diseases. The retina is an exquisitely organised structure where the precise arrangement of cells in relation to one another is critical for effective visual function.